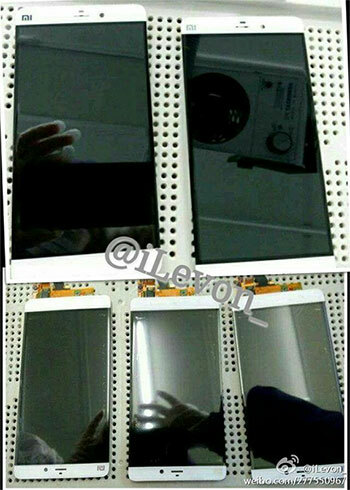 Possible Xiaomi Mi5 spy shots have surfaced showing the phone right from the production line. As you can see from the photos, the phone in question is clearly made by Xiaomi and features what looks to be a display that's larger than 5". The bezels are extremely thin, but we can't really tell how thick is the phone itself. Unfortunately, there are no suggested specifications available at this point either. The Xiaomi Mi4 launched in July and it's interesting to see that the company is already starting the production of the Mi5. In any case, we quite like what the phone is shaping to be. Xiaomi is close to scoring $1.5 billion funding from companies like Facebook, Alibaba and Airbnb. Its worth is estimated to go past $40 billion, so the company is going to get more and more active as time goes by. IPhone design? You have got to be kidding me. Not to mention Apple themselves ripped off HTC One M8 design, down to the antennas and everything. Iphone design? are you serious?